Specific demographic groups have lower cancer genetic testing, including unaffected men compared with unaffected women. HealthDay News — Specific demographic groups have lower cancer genetic testing, including unaffected men compared with unaffected women, according to a research letter published online April 26 in JAMA Oncology. Kimberly K. Childers, from Providence Health & Services Southern California in Los Angeles, and colleagues described the U.S. national distribution of genetic testing for hereditary cancer risk and examined whether a gender disparity exists in testing. Data were obtained from the 2015 U.S. National Health Interview Survey. 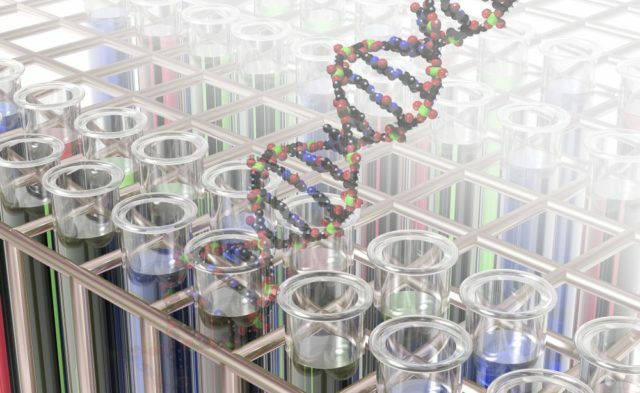 The researchers found that 378 adults reported a history of genetic testing for cancer, representing 2,498,842 people. In the testing subsample, there was a lower proportion of Hispanics (10 versus 16 percent), uninsured individuals (2 versus 10 percent), noncitizens (4 versus 8 percent), and those with less education (high school or General Education Development diploma: 30 versus 44 percent). Many more women than men received testing (73 versus 27 percent); this disparity persisted for unaffected men versus unaffected women (rate ratio, 0.51). Genetic testing was mainly for breast/ovarian cancer (76 percent), with 24 percent for colorectal cancer and 22 percent for other cancers. Among the unaffected, the rate of testing for breast/ovarian cancer for men was one-tenth of that for women (rate ratio, 0.1). No gender disparity was seen for colorectal or other cancer testing. “Cancer genetic testing seems to reach a broad geographic and sociodemographic population in this national survey. However, there remain underrepresented groups,” the authors write.